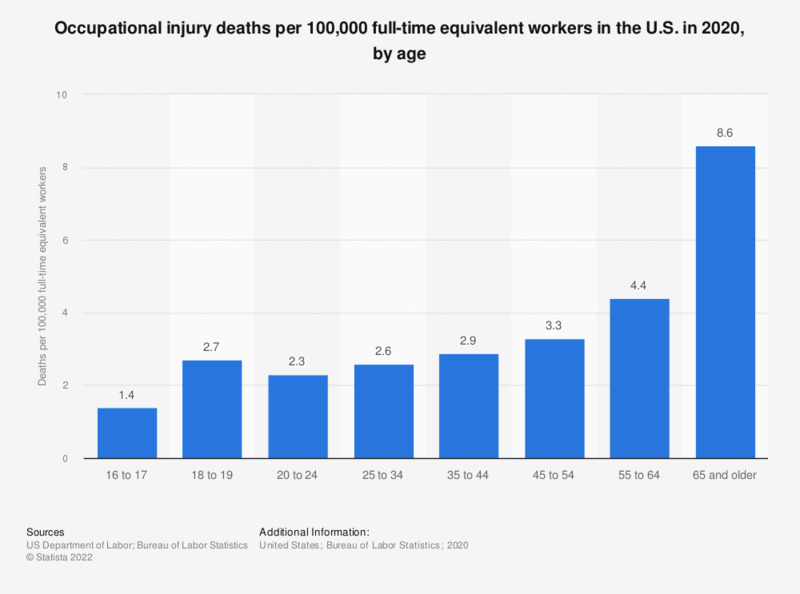 This statistic shows the number of occupational injury deaths per 100,000 full-time equivalent workers in the U.S. in 2017, by age. In 2017, the occupational injury death rate for workers aged 65 and older stood at 10.3. Fatal work injury rates for workers 45 years of age and over were higher than the overall U.S. rate of 3.5, and the rate for workers 65 years of age and over was almost three times the rate for all workers. Fatal injury rates exclude workers under the age of 16 years, volunteers, and resident military.